Although a doctor or psychiatrist can usually treat most depressive illnesses with success there are instances where further help is required. In some cases of depression, it may be appropriate for a person to be admitted to the hospital. 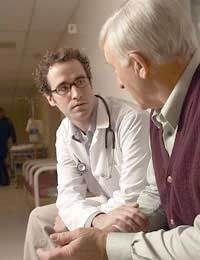 This admittance is usually voluntary and is done when the benefits of more extensive and timely care and treatment for the depression are warranted. Why is Someone Admitted To A Hospital? If a person is having serious and intense thoughts of suicide, particularly when they have formulated a plan, or if their depression involves delusional or psychotic thoughts, a hospital admission may be necessary. In some less common cases, a person with milder depression who has not responded to antidepressant and psychological therapies may also be admitted to the hospital. Other instances where you may be admitted to the hospital are if you suffer from any physical coexisting conditions and need additional monitoring. In this way, both your depression and other condition can receive careful observation and more extensive treatment during your hospital stay. What Can Hospital Admission Do? You may receive any number of talking and behavioural therapies and these can be a great source of learning and emotional support during your time in the hospital. You will usually be able to visit with friends and family each day and it can be helpful for sharing your concerns and even just for the warmth of a hug from someone you love. If, however, any family or friends have been direct triggers for the depression itself, your medical practitioners may advise that you take this time away from triggers so that you can better address your depression and strengthen your own coping abilities. You may be undergoing intensive psychotherapy during your hospital stay, as well as going through various assessments and observations to more accurately diagnose your condition and provide effective treatment. You will likely have a great deal of time to yourself and may wish to have friends or family bring in books or any other hobbies that you can enjoy within your hospital room. You might want to consider a diary to write down your feelings and experiences and to help you make sense of what is happening. For most people with depression, a hospital stay will be for several days to a week, or a few weeks at most. For others, particularly those who are unable to function at all on their own or are at high suicide risk, a longer stay will be necessary to stabilize their depressive symptoms. Try to approach a hospital stay as you would any part of your treatment-with the knowledge that your stay is meant to improve your well-being. Any short-term challenges involved in being in a strange place away from familiar surroundings will hopefully be worth the benefits of hospital treatment for your depression.